January 4th is the 4th day of the year in the Gregorian calendar. There are 361 days remaining until the end of the year (362 days in leap years). On this page, we have placed information about January 4th, including famous people born on, historical events that occurred on, holidays and observances that fall on, and astrological connections of, this day. 1581 Archbishop James Ussher (churchman, scholar - calculated the Universe was created on October 23rd 4004 BC). 1847 Samuel Colt sells his first revolver to the US government. 1884 The Fabian Society (a British socialist organization) is founded in London. 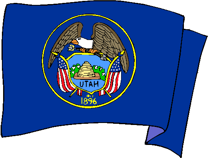 1896 Utah admitted as 45th US state. 1958 After four months in orbit, Sputnik I, the first artificial satellite, falls back to Earth. 1965 US President Lyndon B. Johnson proclaims the "Great Society" during his State of the Union Address. 1995 The first successful appendectomy is performed by Dr William W. Grant on Mary Gartside. 1999 Ex-wrestler Jesse Ventura is sworn in as governor of Minnesota. 2004 Spirit, a Mars rover, lands on Mars. 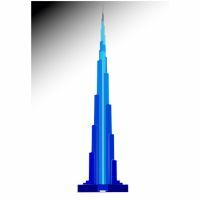 2010 The Burj Khalifa, the tallest manmade structure in the world (2,722 feet - 829.8 meters) opens in Dubai.